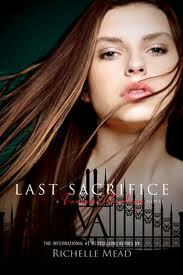 Vampire Academy: Autographed Book Giveaway Contest! Just a reminder - I'll be posting all details for my upcoming giveaway contest by next Friday, December 17th and how you can win (You pretty much know the drill. Must be a follower of my blog...number of tweets gains more entires, etc.). So check back next Friday for all the dets - and enter to win a signed copy of THE LAST SACRIFICE - the final installment in the Vampire Academy series by Richelle Mead. And...there may be more than one autographed book being given away...just sayin'.